On my Ubuntu 18.04 LTS system I did an apt-get upgrade and saw that cqrlog was held back. So I did sudo apt-get upgrade cqrlog. I saw that it was going to install some mysql packages and remove some mariadb packages. I figured that was OK, but apparently not. In the midst of the upgrade I got a message that mysql is in FROZEN mode because I had done an incompatible *downgrade* of mysql or a variant. 1 upgraded, 9 newly installed, 6 to remove and 0 not upgraded. general information about this mode. could "apt install mysql-server-5.7" again. Not surprisingly, cqrlog fails to cpnnect to the database on startup, saying that mysql is not isntalled properly. Did I do something wrong, or was there a change such that this is expected? What should I do to recover my database? I remembered that during the upgrade, a package wanted to replace /etc/apparmor.d/usr.sbin.mysqld contents. The file was empty, except for comments saying that it was left empty to disable mysql. I approved replacing the empty file with the contents provided by the installed package. So now I went back and reverted that file to empty, and then tried to re-install the mariadb packages that were removed as shown above. This installation will remove cqrlog, so I didn't do it. I tried adding cqrlog explicitly to the apt-get install arguments, but then it wants to install the mysql packages that are shown in the apt-get output above as being installed. I assume they failed to be installed because of the errors. Maybe this is what I need to do, but I thought it best not to until I get more info, lest I make things worse. This all seems to indicate that the latest cqrlog switched from mariadb to straight mysql, but I don't see any indications to that effect. Also, I don't understand why installing mysql 5.7 over mariadb was seen as a downgrade, which seems to be the essence of my current problem. apt list shows me that I have mariadb 10.0 and 10.1 packages installed, as well as mysql 5.7. I assume I need only one of these 3? Probably mysql 5.7? If you did not have any other database than cqrlog logs, and if they are stored as"local" what is the most common way, they are all in /home/yourusername/.config/cqrlog folder. Exactly subfolder named database. Folder .config is hidden (has dot prefix) so you see it after you set your file browser to "show hidden files and folders". Once you found it make copy of folder cqrlog with all files and subfolders to usb stick. Then, if you did not have any other databases to save, remove whole mysql installation. After that try to install that version you did previously have. Looks like it has been mariadb 10.1. In your message there is a list of removed items. Try to restore all. Once mysql is running again try to start cqrlog and see what happens. A while ago I wrote that easiest way to upgrade working cqrlog is to download tar that is in the bottom of download page " for other distributions" and untar it to filesystem root. Works always. When I start cqrlog it fails because of a missing database file (cqrlog_common). Here is the console output when I run cqrlog with --DEBUG=1. I've restored the database before with cqrlog and didn't have this problem. Looking at the mysql.err log I saw that there was an instance of mysql still running. I killed that and restarted cqrlog. IT gave me an error about index out of bounds at first (I think because there was no database in the dropdown list at first for some reason). I closed cqrlog and re-launched it. 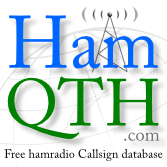 I was then able to select my restored database, and all my QSOs appeared. So all is again in order. Remember also ADIF backups every now and then. If DB structure fails badly in .config/cqrlog/database you can still recover all qsos from adif after installing mysql and cqrlog again.